I don’t know about you, but my dad used to collect all manner of “treasures” on his travels. Turns out Brian and James Murphy’s dad did too. In fact, you only have to look around Murphy’s Bleachers or Mrs. Murphy & Sons Irish Bistro, and you can see his addiction to collecting stuff. I never met Jim Murphy. A giant of a man, by all accounts. But I like to think that we can get a small glimpse of him through the legacy of items he collected. Evidently a Cubs fan through and through – from the bleachers seat signed by Ron Santo, a signed Ernie Banks jacket, countless bobble head figures, vintage enameled signs to the framed art originals, early 20th century programs and signed baseballs, he made Murphy’s Bleachers a modern, living, breathing, museum. It’s memorial to man who put his money where his mouth was and invested in his neighborhood, both literally and metaphorically. So my guess would be that he would be thrilled to know that “A Piece of the Game” is coming to his city, his neighborhood, his bar. I am betting he would have had a ball talking to everyone who brought their own pieces of sports memorabilia with them because important or not, he like any collector, would have been fascinated not only by the stories they came with but also by the chance to find out more about his collection. 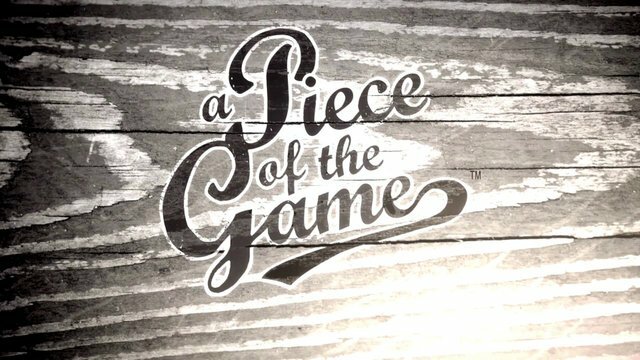 A Piece of the Game will have four appraisers to look at your sports memorabilia and is filming at Murphy’s Bleachers on Sunday, April 27th from 10am, all welcome.